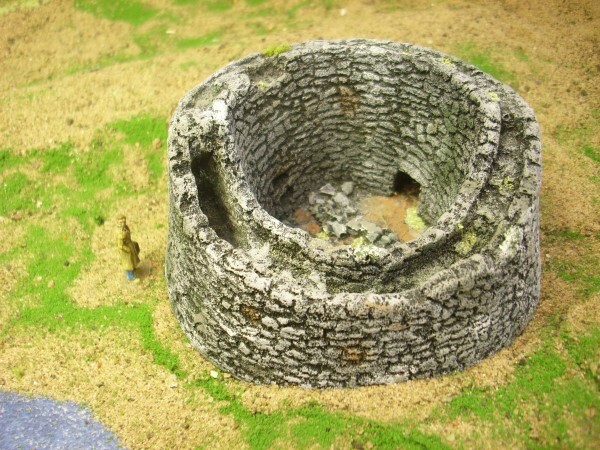 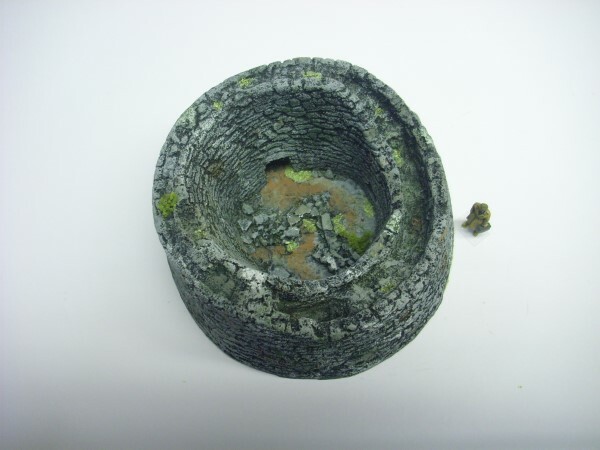 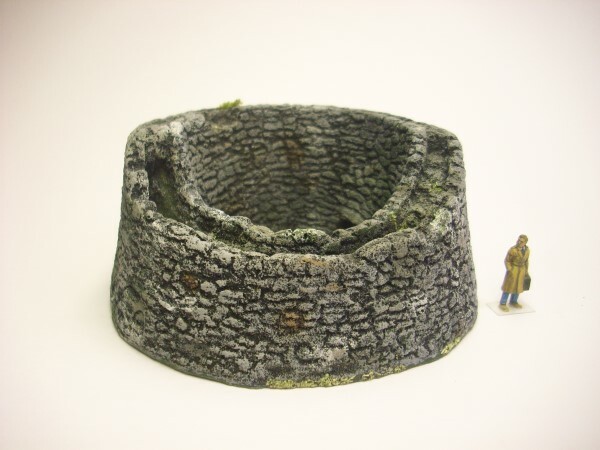 Solid cast model of a ruined Broch. 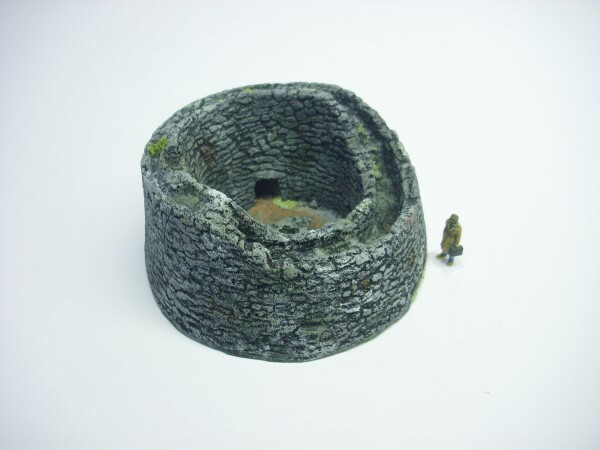 These stoneage circular fortified dwelling are found all over Scotland. 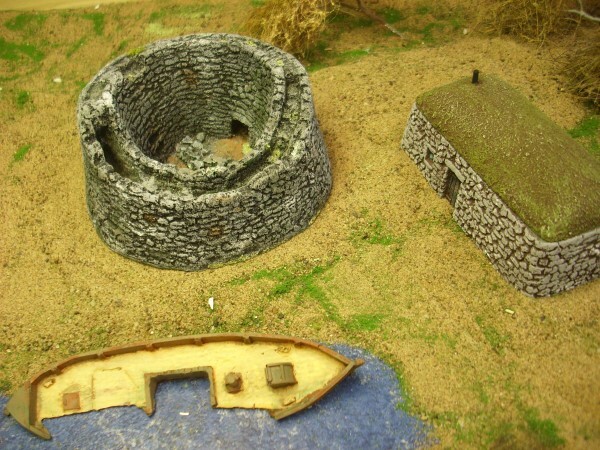 This would make for an interesting scene on a model railway. 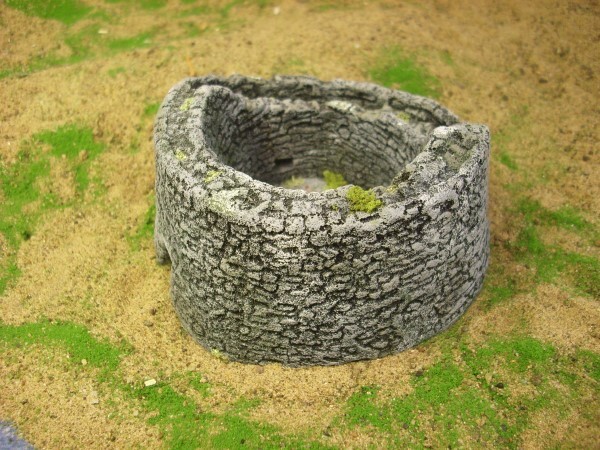 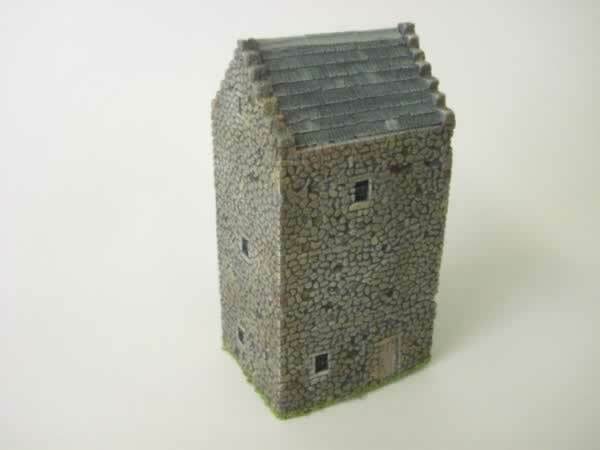 Could be used for 20 mm wargames and also as a larger structure for 15 mm figs. 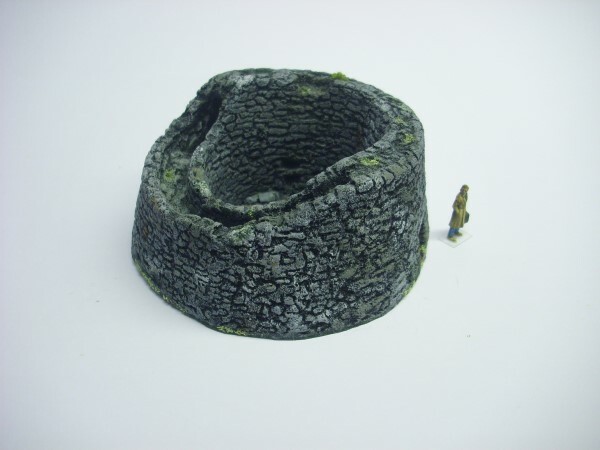 Dimensions 110 mm dia x 48 mm H. All dimensions are aproximate.